The majority of car buyers say they don't trust sales staff because they feel pressured to buy costly add-ons or extras that they don't need. 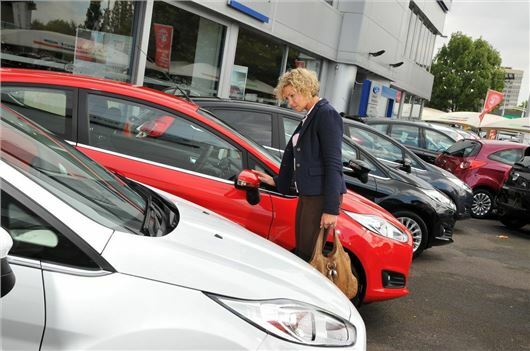 Research from the Institute of the Motor Industry (IMI) reveals that 75 per cent of car buyers found salespeople untrustworthy, with around half saying they felt pressured to buy add-ons or optional extras they didn't want or need. The IMI - the motoring body which aims to regulate standards – surveyed 2000 buyers and found that 33 per cent felt they had been over-charged when purchasing a car and/or insurance. It is common for sales staff to receive a percentage of the profit for each car they sell, as well as get a cut from the extras that are bundled in with the deal. These commission incentives can sometimes result in pressure on consumers to purchase optional extras like extended warranties, GAP insurance and protection of paintwork and alloy wheels. The Financial Conduct Authority (FCA) has attempted to stop car buyers from being mis-sold insurance and finance products by implementing changes to the Consumer Credit Act. However, the IMI research shows that 42 per cent of car buyers now avoid dealerships due to a lack of trust. Half of those surveyed felt they would feel more comfortable making financial decisions if additional regulations were in place to ensure they wouldn't be overcharged, with 64 per cent wanting car sellers to become members of a regulated body. Most salesmen i've encountered of late have very limited knowledge of the vehicles they are trying to sell!........Not a small detail when they are clueless to to how many cylinders the engine has. I don't want a 3 pot engines that has a gruff character that idles in an un-even manner thankyou!. I don't want a turbo that could fail at any time and i certainly don't want a VW with a fragile TSI twincharger system with a suspect camchain and pistons made of cheese. So i'm sticking with Honda for my next car thankyou when my Golf MK4 finally throws in the towel. Good for you. Do you eat whales too? The japanese do or at least they hunt and butcher them with explosive harpoons so, japanese goods are off my buy list! The internet helps a lot I think. I can research capital cost, read owner reviews, running costs, recalls, typical wear and tear items, and determine tax, insurance details for just about any car, new and second hand. Personally, when I do finally have to view and drive the car I'm interested in, I ask the salesperson if they don't mind observing a bit of silence so that I can listen and think. Not had an issue with that request and not had my decision to move on to another car challenged. If it was, I certainly wouldn't hesitate to walk away from whatever car I was looking at. Try visiting Carshop! Their people haven't got a clue and are solely interested in getting you to sign a sales agreement before you have even set eyes on the car in question. High pressure tactics, plus also selling add-on rubbish like special finishers for the paintwork etc. We found the buying experience of our local Nissan dealer actually very positive. Yes, the salesman did offer GAP insurance (at £300+) and paint protection (£299), but was absolutely fine about us declining both, and taking our own third-party route for these "extras". It's been really refreshing just how patient, courteous and professional the dealer was with all our enquiries, when he knew we were serious and looking to buy a new car, and not just tyre-kicking.And when I pointed out that he might consider matching the deal we'd been offered at another garage 2 hundred miles away, he was happy to obligie. We came away with a brilliant deal that we were very happy with. So for once, I'm actually rather impressed with the car salesman we encountered this time. The new car is going well, too. So happy customers. Lack of salespersons' knowledge and their need to maximise their commission-based earnings are significant but only a part of this issue. Equally relevant is the fact that a vehicle is one of the most expensive purchases a customer can make, so consumers need peace of mind knowing that they'll get first class backup from the dealers and manufacturers when things go wrong. Yet, we still too often read horror stories about vehicles failing unreasonably or due to commonly-experienced inherent faults about which manufacturers then deny all knowledge. The law is better at protecting the customer these days, but as vehicles continue to become increasingly complex the likelihood of failure also increases, and it seems dealers and manufacturers remain as reluctant as ever to help, once your three-year warranty is over. If some manufacturers can offer more generous 5, 6 and 7-year warranties, one can't help wondering why the others find it so hard to stand by their loyal customers when things go pop. Add to those concerns the ongoing emissions scandal, which is having a horrendous impact on millions of owners' vehicles, and it's hardly surprising that car salesmen are having a tough time getting customers on-side. Blue tooth plus I pods! Anything technical like the type of suspension or If it has a combustion Engine they think your either Mad or a Dinosaur? at auctions plus through the trade preferably carried in your head or a colleagues . earn for your selves . No talent or skill these days and "horse trading?" gone with mechanical points and electric distributors .Still when they are all Driver less even SALES PERSONS will be gone . From an old "T REX" RETIRED AND VICTORING! !